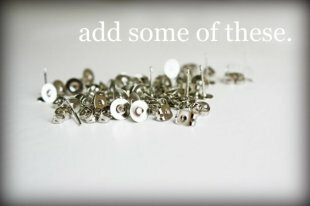 How to make cute earrings? I found an amazing bead shop this last week… and what did my little eyes spy on the back wall by the cash register? Flower Cabochons! I’ve been looking for these, forever! I think I squealed and scared the shop owner. I grabbed my sister’s arm and dragged her over. 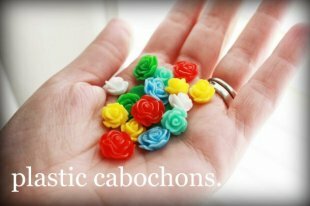 I loaded my fists full of those lovely flower cabochons. I couldn’t wait to turn them into kitchy earrings. 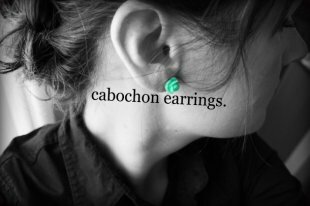 I bought my very first pair of cabochon earrings about 3 years ago. They set me back about $9… but, they were worth it. Large yellow roses. I wore them everywhere! (and still do!) But, I wanted other pairs. I looked around, they were a bit pricey. But, now… I can have any color I want! Do you want to know the very best part? So inexpensive! 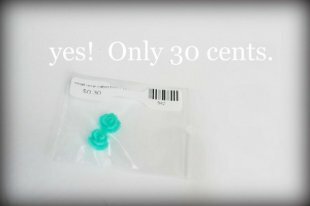 I bought the supplies for 7 pairs of cabochon earrings all for less than the one pair that I found over 3 years ago. Be still my beating heart! After a quick wave of the glue gun, and about 5 minutes later, a little magic happened. Are you in love? I am! 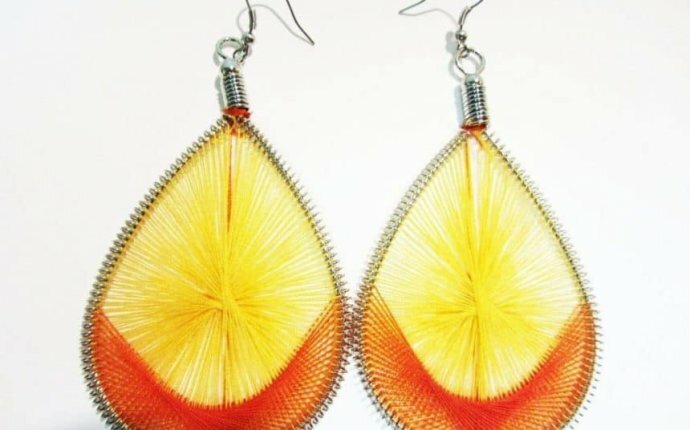 - How to make a pair of earrings?